Wedding is one of the most important events in one’s life. Each wedding comes with a lot of drama—venue, gifts, and invitations. The invitation card is your official announcement to your friends and family and you might want to make the most of it. By adding a QR Code. A QR Code will not only make your invitation hi-tech but also make many things easier for your guests. Don’t know how a QR Code on a wedding invitation will help? Keep reading. QR Codes help make a lot of things better. For example—a Website URL QR Code makes it easy to visit a website, a Social Media QR Code makes it easy to share your social media profiles. Similarly there are numerous examples where QR Codes make things better. In Apr 2017, a couple in China used QR Codes on their wedding to replace cash gifts with digital payments. The amount deposited by each guests deposited directly into their bank account. This is probably the most popular use case of adding a QR Code on a wedding invitation card. 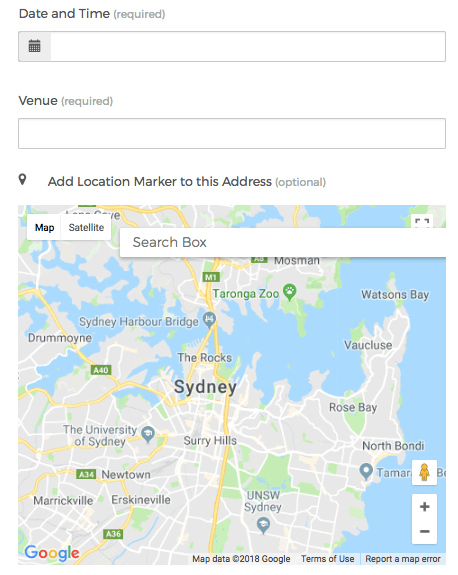 You can share the exact Google Maps location of the venue when the QR Code is scanned. No need to design and print the map. Your close friends and family members will definitely attend the wedding. But it doesn’t hurt to add a teeny-tiny reminder on their calendar, right? A QR Code on the invitation can do this. On scanning, a calendar event will be created on the user’s smartphone. This will ensure that your guests not only prepare for the event but also reach in time. Couple stories are quite-a-thing nowadays. A Wedding Teaser or a Pre-Wedding shoot reflects timeless memories which are reminiscent of ‘How it started’. 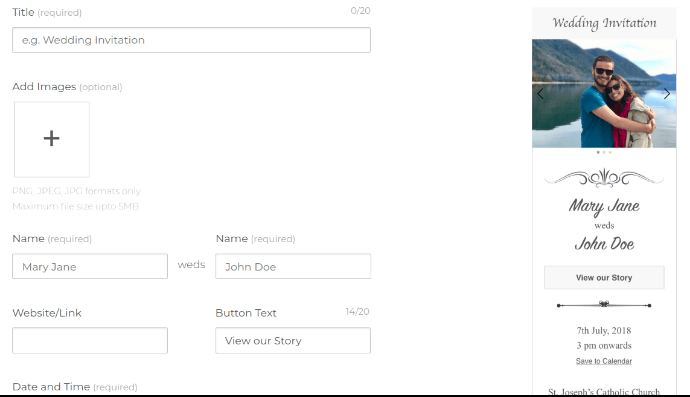 A QR Code on the wedding invitation allows you share your journey via photos, videos, or any other webpage that illustrates the storyline. 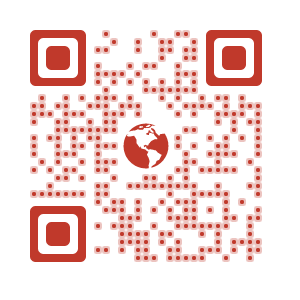 A QR Code can also help get your guests to RSVP. They can scan the QR Code and respond if they will attend the event or not. 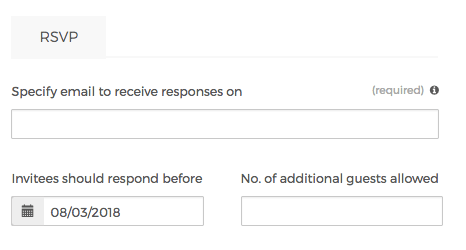 For each response, you will get an email notification. No need to send RSVP by snail-mail. B. 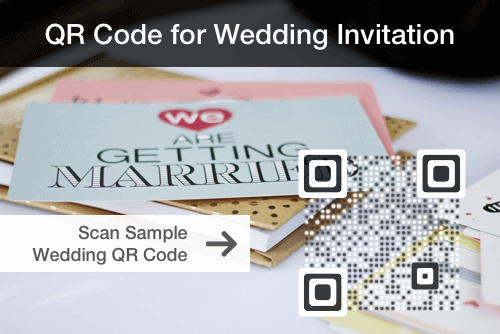 What is a Wedding Invitation QR Code? C. How to create a Wedding Invitation QR Code? 1.Go to Scanova’s Wedding QR Code generator page. That’s it. Now that you have the QR Code, you can add it to the wedding invitations. Note that your wedding invitation designer will probably need a vector image of the QR Code (SVG, EPS, etc.). 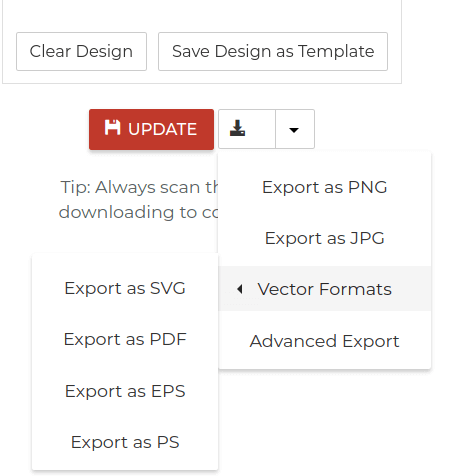 So download the file format you need using the Advanced Export option. So cool. It’s trends to use QR code in greeting cards. I know AmoLink html5 greeting cards also adopts QR code technology. Amazing.